Linda Forgosh, executive director of the Jewish Historical Society of New Jersey, is the author of Louis Bamberger: Department Store Innovator and Philanthropist (Brandeis University Press, 2016). Her companion exhibit, “Meet Me Under Bamberger’s Clock,” is on display through the end of 2017 at the New Jersey Historical Society in Newark. Bamberger’s department store is remembered fondly by anyone who lived in or around Newark back in the day. Founded in 1892, its golden age was from the 1920s through the 1950s. During this period, “Bam’s,” as it was widely known, offered a wide selection of merchandise at reasonable prices and provided excellent customer service. It also sponsored exhibits, concerts, and lectures for the general public and a Thanksgiving Day parade. It may have been the only department store to establish a radio station, WOR, which exists today as 710 AM. As a quality retail store, a large employer, and an urban booster, Bamberger’s was an institution that played a formative and progressive role in the history of Newark in the first half of the 20th century. Like the other grand department stories of its day, it was owned by a Jewish family, the Bambergers. And like Julius Rosenwald of Chicago’s Sears, Roebuck and Co., who established hundreds of schools for black children in the South during the Jim Crow era, and Edward Filene of Boston’s Filene’s, who established credit unions for the benefit of small borrowers, Louis Bamberger exerted influence far beyond his business interests. Linda Forgosh has written a model biography of the visionary who shunned publicity and left no diary. She appears to have unearthed every relevant snippet of information and to have successfully integrated that information into a comprehensive portrayal of the man and his times. Bamberger’s parents were German-Jewish immigrants who settled in Baltimore. He worked in the family retail business, but struck out on his own at age 32 to work as a buyer in New York City. 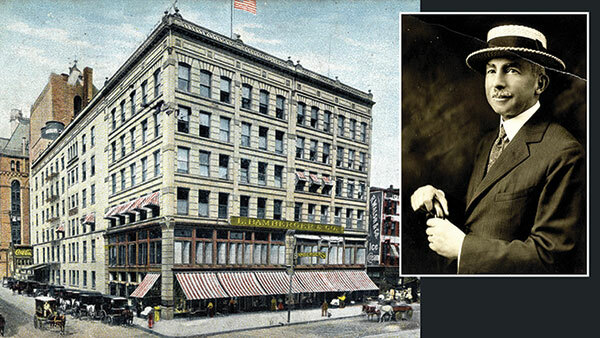 In 1892, at age 37, he and two partners started a small department store in downtown Newark that catered to middle-class and upper-middle-class women. Bamberger’s went through many expansions until it stood 12 stories high and occupied an entire city block. Eventually, it opened a bargain basement for low-income customers. There was a separate entrance, but it was appointed in the same style as the upper floors. Bamberger’s was an enlightened employer. It paid better than average wages and gave bonuses to long-term employees; turnover was very low, and many workers remained for decades. The Soviet government somehow got wind of the employee cafeteria and was so impressed that it asked Bamberger for the layout to use in its own industries. Louis Bamberger was a regular presence in the store to greet his employees and ensure customer satisfaction. The store sponsored an employees’ benevolent association and a newsletter. It paid tuition for employees who took courses at nearby colleges. It held jobs for employees returning from service in World War I. Women were hired as sales staff and for a limited number of management positions, and blacks for menial jobs. At the time, these practices were considered advanced. Forgosh provides no evidence that they elicited any protests from leftist organizations, labor unions, or the black community. Bamberger supported a multitude of Jewish and non-Jewish charitable organizations. He was instrumental in the building of Newark’s largest hospital, Beth Israel Hospital, and financed the Newark Museum and donated items to its collection. He was a supporter of the New Jersey Historical Society and was a major patron of the arts. Various mayors were unstinting in their praise of his philanthropy. The black community benefited from his support of the National Urban League. Given this record, I don’t understand why Forgosh comes to the conclusion that the public assumed he gave mainly to Jewish causes. Could it have been anti-Semitism? Since Forgosh does not record any instance in which Bamberger was criticized as a Jew, the answer remains unclear. Rather, it appears that Louis Bamberger was one of Newark’s most well-respected citizens. A secular Jew, Bamberger observed no holidays or rituals, avoided synagogues, and refused to fund Jewish education. Yet he was devoted to the welfare of the Jewish community in Newark and supported relief organizations for Jewish victims of pogroms during and after World War I, and joined Newark’s organized communal response in protesting the rampant anti-Semitism of Nazi Germany. Forgosh assures the reader that by 1934, Bamberger’s honored the boycott of German goods organized by the American Jewish Congress and the Jewish War Veterans, but neglects to show that it took some prodding. Warren Grover, in his book Nazis in Newark, reveals that the store had to be picketed before it participated in the boycott. Bamberger was no longer the owner, but was still associated with the store. Furthermore, Forgosh is so protective of Bamberger’s good name that she apologizes for his admiration of composer Richard Wagner, when no apology is necessary. Bamberger also donated to agricultural colonies that the Soviet Union established for Jews in the Crimea during the 1920s, a project that attracted a wide spectrum of the American-Jewish community. Although not a Zionist, he gave to the Jewish Agency for Israel and The Hebrew University. There is no doubt that Bamberger was committed to doing good works, but what was his motive? Bamberger had no use for religion and eschewed politics. He was a member of the Ethical Culture Society, an organization thoroughly committed to social justice. Founded by Felix Adler in 1875 as a secular religion, it attracted many prosperous, and socially conscious, German Jews. 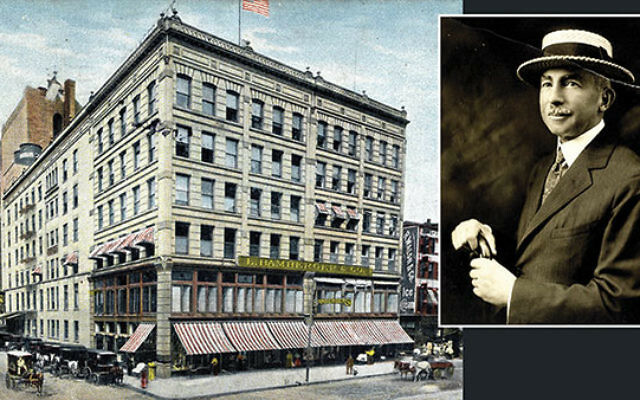 In 1929, Louis Bamberger sold his store to Macy’s, remaining part of the management team until 1939. Macy’s retained the Bamberger name for the Newark store until 1986 and even used the recognized brand for its stores in suburban malls. Working in Newark during the 1980s, I had many friends and coworkers who spent their lunch hour at “Bam’s” and I ventured there myself on occasion. It finally closed its doors in 1992. Although Bamberger never completed high school, he was the benefactor of the Institute for Advanced Studies in Princeton and became a friend of its most famous researcher — Albert Einstein, who joined the faculty in 1934. Forgosh relates that Einstein once visited the store with his wife, Elsa, who bought a pen, and that he spoke at the YMHA in Newark at Bamberger’s invitation. They shared a love of classical music, adherence to the Ethical Cultural Society, and much more. Einstein attended Bamberger’s funeral in 1944. Bamberger left nearly his entire fortune to the institute. In sum, a life well lived and a notable story told by Linda Forgosh.